Wow look at XxX_PaRisSs_XxX , her dress is amazing! How much creativity has she but into it? Good work! 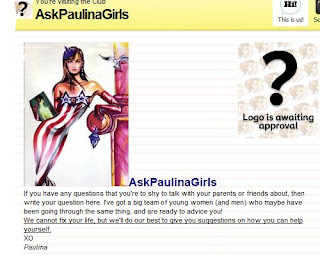 I encourage you to join club AskPaulinaGirls. You can give advice, or get advice! Whatever the question is someone will answer it! I made t this moschino spring 2009 outfit out of all elle stuff and I think it looks very like the real outfit what do you think? 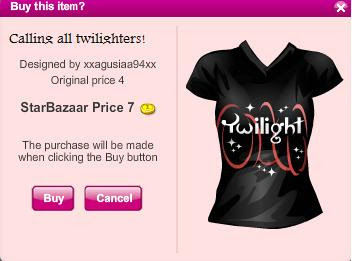 Well I kind of desided to make a new LE clothes shop... Do you like it? Has made a fabulous furniture dress creation out of butterflies! Its fabulous! 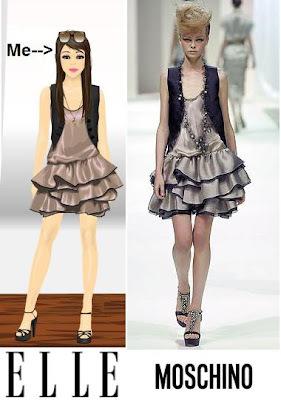 Well done stardoll! 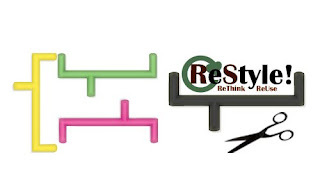 I love the new restyle thingy shop. And I love how they are talking about recycling like having to halves of a dress. Iv'e got a black and yellow one. (half black half yellow). Coooolies! Well looks like the new LE is going good. 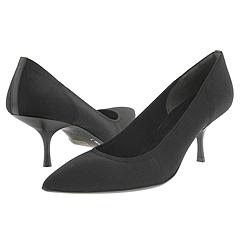 I wish we could buy more clothes from here. But they have closed it off. Iv'e been saving up to buy something and now they have closed. I bet I will just havto look harder to find some more things that go with my doll. 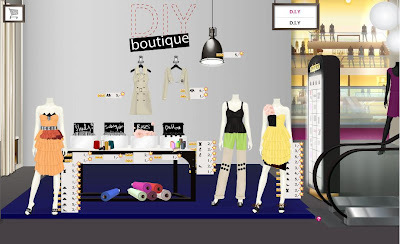 Now stardoll is giving us cheap clothes (I'm talking 2, 3 Stardollars) We get to put together our whole oufit. Isn't it cool? WOW! Check out Bluegreen86's medoll her makeup is absolutely stunning and natural I love it! Welldone bluegreen86! 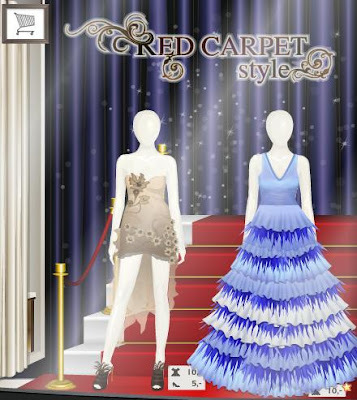 Check out the new red carpet style dresses and there is also song contest dresses what do you think about them? Well iv'e always loved looking at cool graphic desings. But suddelny, my computer isn't letting me! I don't know why? Could anyone help? Livvy or Fran, would you know why grpahic desings are playing up? If you do please help me. Well as far as I know none of my besties or close friends (as far as I know) haven't become covergirl yet. Well all the people have been covergirl have a obviously very nice suite and doll. Thats what my friends have to. I vote for my besties and some friends most of the time. Wow Callie.Stardoll became covergirl for today, or in case you haven't seen and it's the next day or something. What would you vote Callie? One two three four of five? Well, good luck in becoming covergirl! WOW Awesome there is a new DIY store for making clothes I love this DIY stuff but im not very good at making anything I have another post below showing a picture of what i made with the DIY clothes!! Wow look at our beatiful Clare! She makes FANTASTIC desings and her suite is like very awsome. My computer won't let me take get photos of stardoll again so I got a photo that I already had. When I first visited her suite I was so stunned at what kind of fabulous suite she had done already. All I wanto say as nice job Clare, wonderful doll and suite! 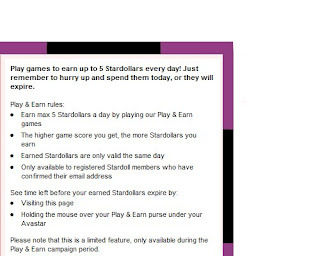 For Stardoll's birthday, they decided to let us earn 5 stardollars a day, but we must spend them that day. Up above is a picture of the rules. NEW!! 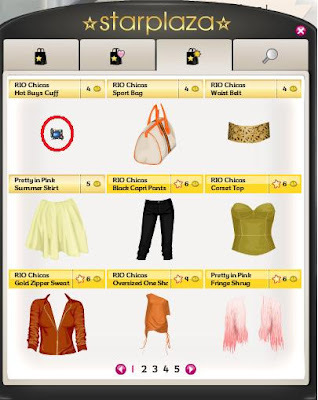 Stardoll has released some new clothes in the starplaza including the hotbuys cuff which is in Rio chicas for 4 stardollars. WOW!! Check out these fabulous designs cltreanor (clare) has made I adore the pink one so creative! Welldone! WOW! Check out Connies (fmuthgrl) amazing baby room its so creative! 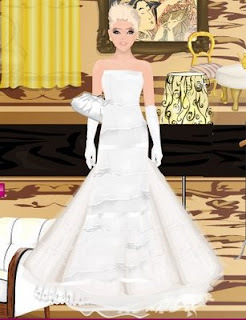 Well, there have been some really good issues for stardoll I must say. All so glamourous LOL. I couldn't help notice (on stardoll) Iv'e been looking at nice suites and these are the once that I'm most LOVE lol: cltreanor ( clare always lovely) Obviously my dear friend hollisterbabi01 (Glamorous Olivia) Not forgeting beatiful Fran,( great girl), Bella_La_Swan, She has a really nice twilihgt suite! Um also a few more people kyotokitten (fiona lovely) She has a great suite LOL. Iv'e got heaps more but I can't go on forever. I'd just like to say Olivia is a really great graphic desinger LOL not as good as me. I loove h0w she makes her desings so interesting and just WOW. Well is this enough? Probably. Hay this is Jess I just wanted to say Hi and this is the first time I'm writing on this blog because there has been a little bit of connection faliurs. 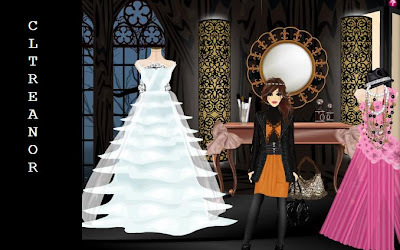 Have a good day felow stardoll bloggers Olivia and Fran! 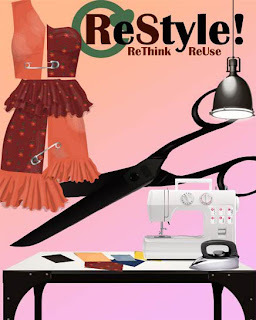 Okay, so this is another graphic I made (click picture to enlarge)... but the credits really go to Style Magazine on stardoll, because thats where I got the body and backround. all I really did was add my face. This is the graphic I made for my dear friend (and writer for this blog) Fran! Love you! Wow! Where to start, and where to end? Barb_A has an amazing suite. I don't know how to describe it! Let's see um extrordinary, Wow!, Amazing. Well I can't think of much but Wow! So I'll just shutup now. Your a Sensation! WOW!! I love bluebelloo's eye makeup its stunning!Welldone! WOW! 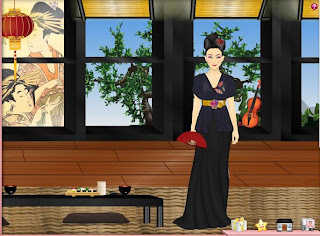 If you like Japan or japanese geisha's you should check out fieldsmaiden she has a japanese themed suite and medoll its great! Wow! 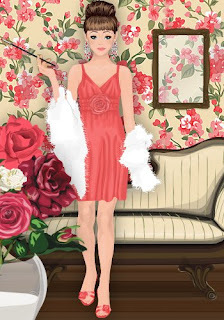 Check out Melissa54321's suite and gorgeous medoll! I love it!